Kentucky Derby Hat "Contessa Donatella" is also perfect for Ascot. It's designed over a 19 inch sinamay hat base. 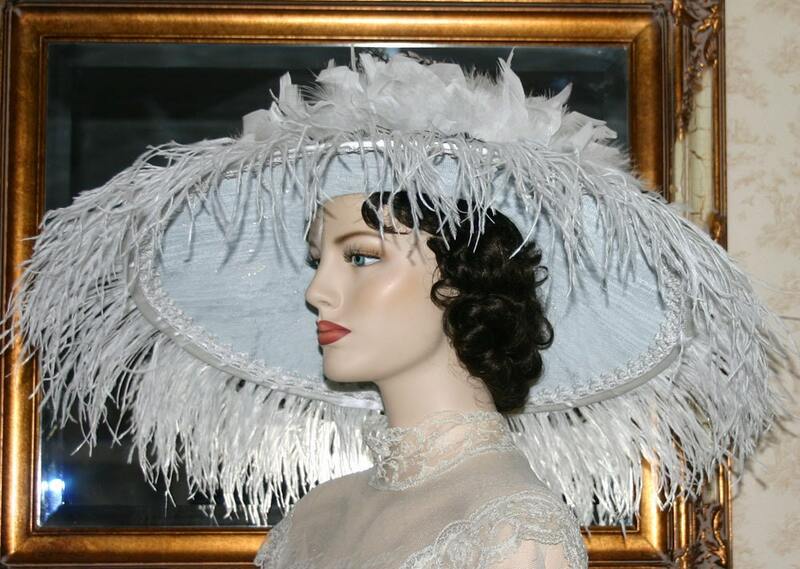 The delicate ostrich fringe adds 4 inches all the way around the brim making this a 26-27 inch wide brim hat. 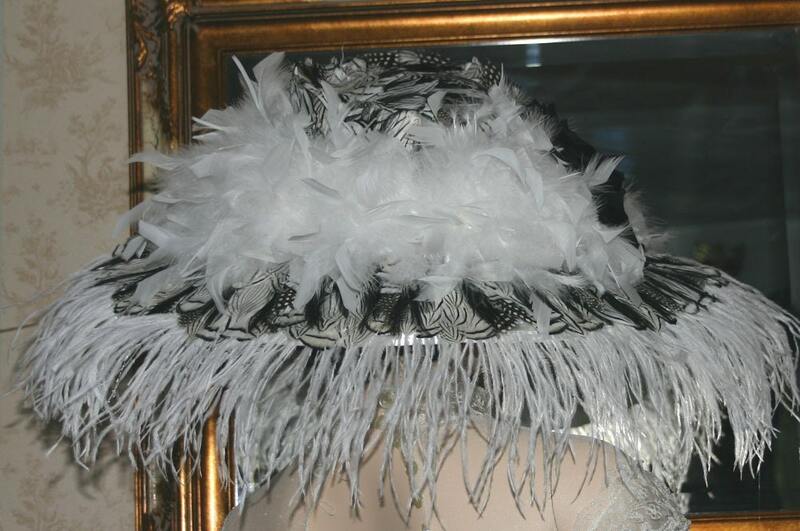 The brim and crown are accented with Guinea Hen, Silver Pheasant, Lady Amherst Pheasant and dyed Rooster hackle feathers. 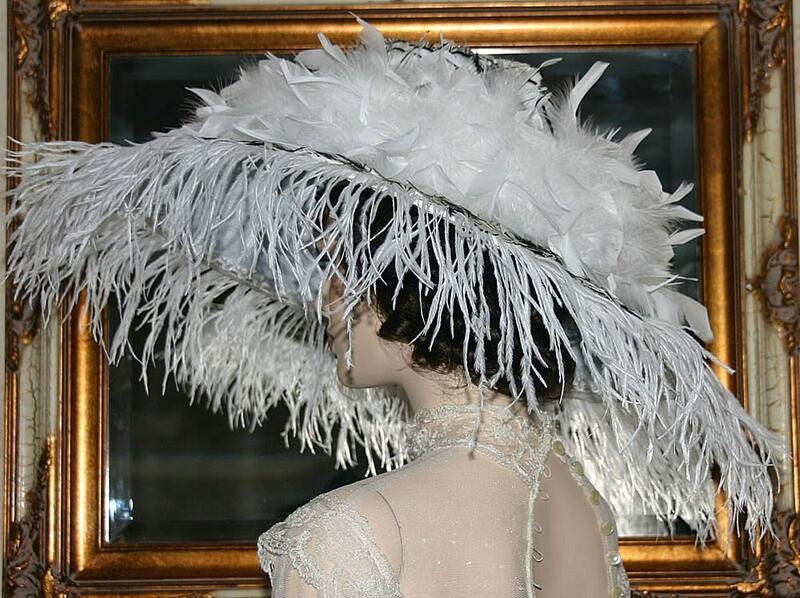 The crown of the hat is wrapped with beautiful white chandelle feathers. There's two gorgeous black silk roses with black silk leaves accenting the white chandelle feathers. 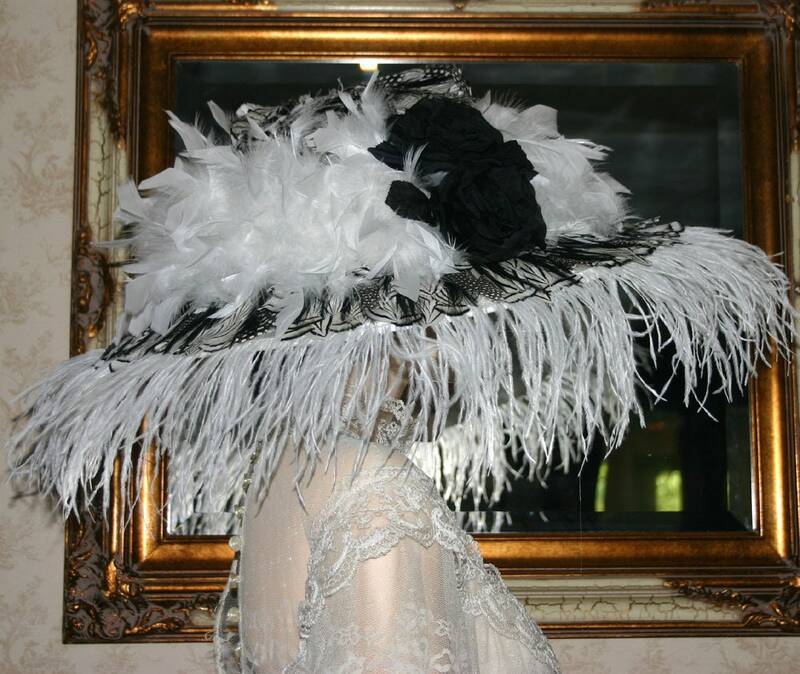 This hat is perfect for the Kentucky Derby, tea party, wedding or anyplace that you want to be noticed! ALLOW minimum of 30 - 45 days for COMPLETION!!! I always try to complete in less time, but it depends on how busy my shop is when you place your order. 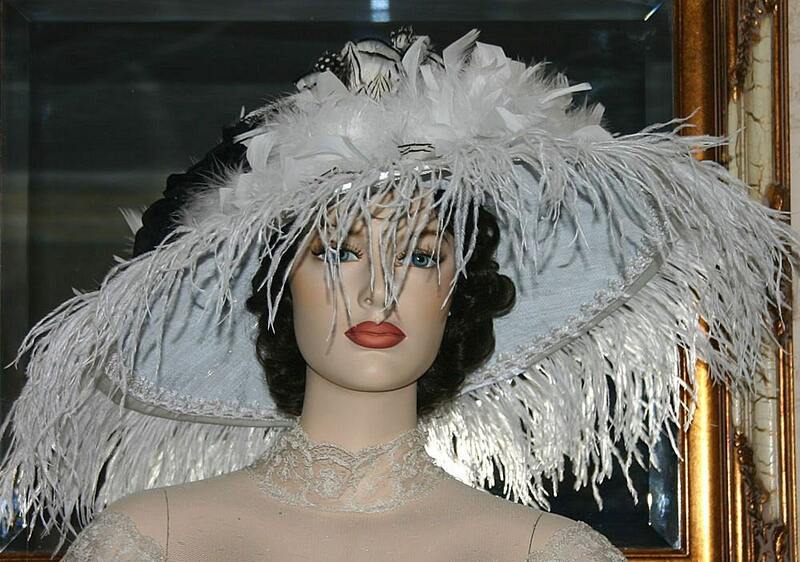 This Edwardian hat is perfect for Kentucky Derby or Ascot hat!